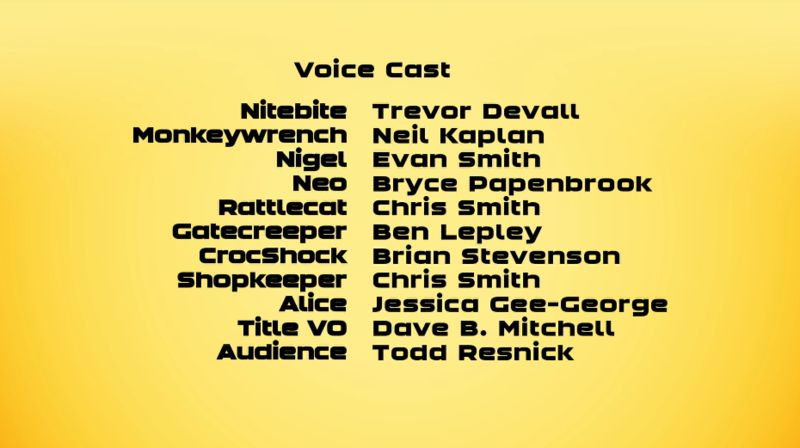 Spikestrip and Crocshock from episode 3 gets to speak for the first time. They're now uploading a dub of a Chinese show called Opti-Morphs under the Screechers Wild name. No credits. 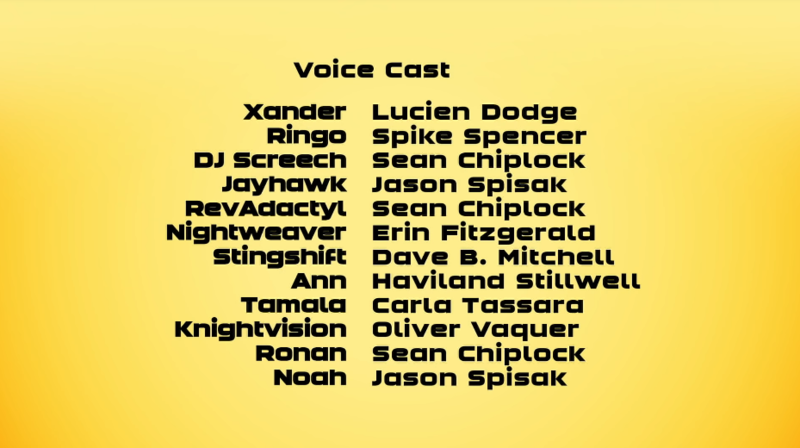 I don't even think it's the same voice cast from the shorts since I can't pinpoint the voices at all. Take the accent away and this voice sounds pretty familiar to me. I just can't place a name. Sorta but still no clue. 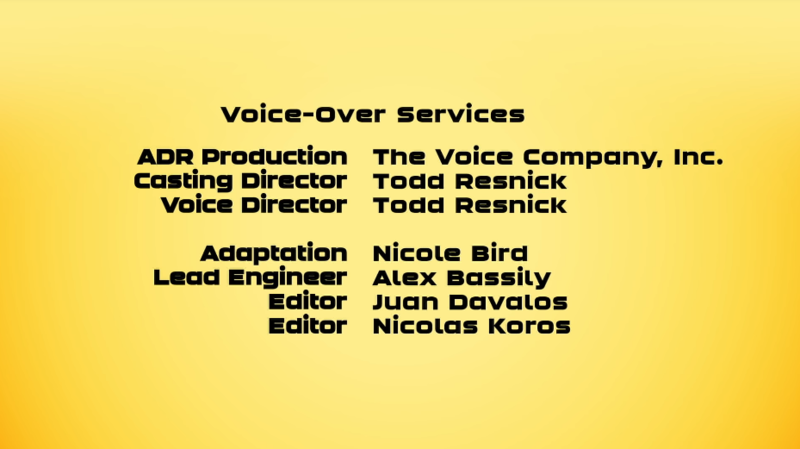 "US Voice Services by Todd Resnick and The Voice Company"
Seems that's a studio in Los Angeles. 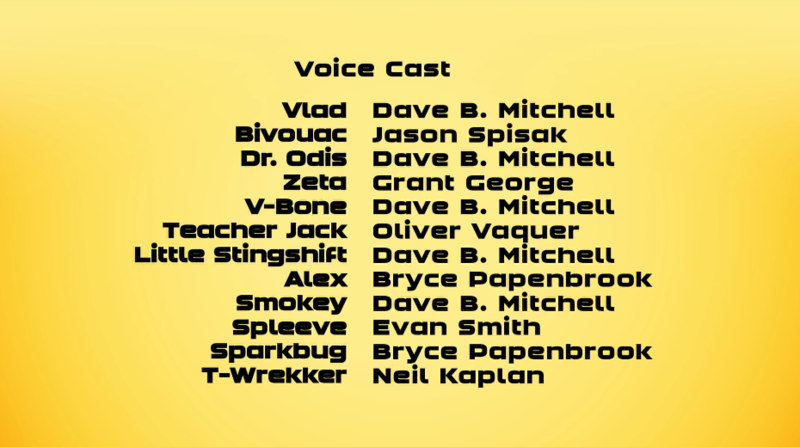 I think we might hear Ben Diskin in that dub. Bakugan sent the toys to the scrapyard, so this might be the end of Screechers Wild.